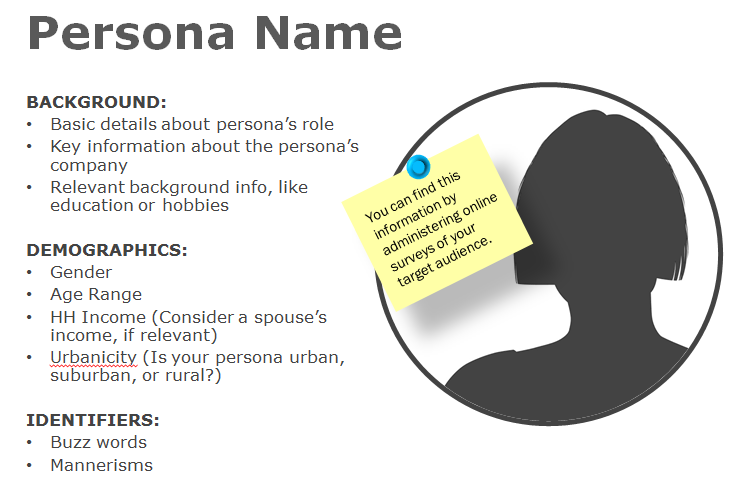 Have you identified 'buyer personas' for your business? 1. Start by listening intensely to customers. Listen through in-person interviews, casual interactions, via your sales and customer service representatives as well as through written communications and online comments. Review analytics data, too. Look for clues to help guide what problems prospective customers want to find solutions for. Learn more about who they are and how they make decisions. You're looking to find pockets of commonality. 2. Use what you've learned to build a picture of your customers. Detail relevant demographics. Find photos that represent who your customer is. Describe what role she might hold at an organization. 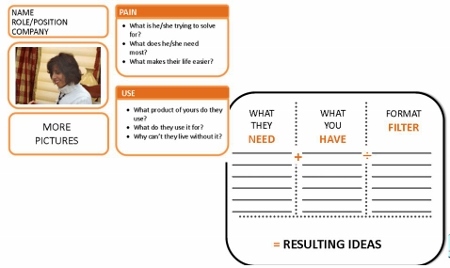 Document what pains your prospect faces; find out what she's trying to solve and what she values, as well as how your product or service fits into her life. List specific questions which that persona asks. The better you understand the world of your customer prospects and personas, the better you will be able to meet their needs throughout the purchase process. 3. Name your prospect. 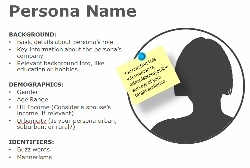 A name creates a short cut that you can use internally to focus your organization on a specific persona very quickly. BuildDirect refers to Bob the Builder; HubSpot to Marketer Mary and Enterprise Erin - among others. 4. Deliberately focus content and marketing materials with your prospect in mind so you can tailor that message and create Email Marketing Customers Welcome because you show them respect! "Each group was assigned not just a living environment," explains Lou Lenzi, industrial design director for GE Appliances. "But we also asked the teams to break up and look at personas or do some scenario-planning." Those scenarios include a house for empty-nesters, another for a young, tech-savvy couple, a third for young people living in an "emerging urban environment" like Detroit, and another for an adult taking care of an elderly parent." Talk about a powerful way to reiminage the future with personas! Once you have developed your buyer personas and tested them out, you may be ready to fine tune them with more data from your analytics. Consider reading Create Precise Buyer Personas With SEO Data: A 10-Step Guide from Content Marketing Institute. In the meantime, I'd love to hear how you use a buyer persona to fine tune your content marketing. Image credit: Buyer Persona Information from SmartBugMedia.com and HubSpot Inbound 2011.